Technology has significantly changed the way we work and live. The skills that today’s students need to be productive, fulfilled adults span beyond reading, writing and mathematics. Today our students must be self-directed, life-long learners as well as ethical, responsible digital citizens prepared to meet the increasing challenges of a global, information based society. 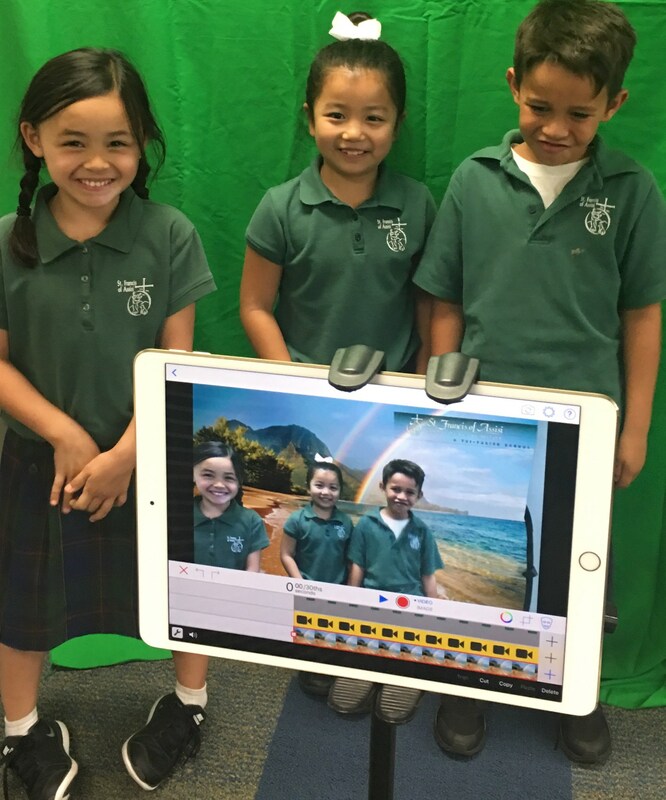 They must learn how to access, manipulate, and evaluate information, synthesize concepts, and creatively express their ideas to others using increasingly more sophisticated tools. Moreover, students must learn to use these tools in a manner reflective of Gospel values. 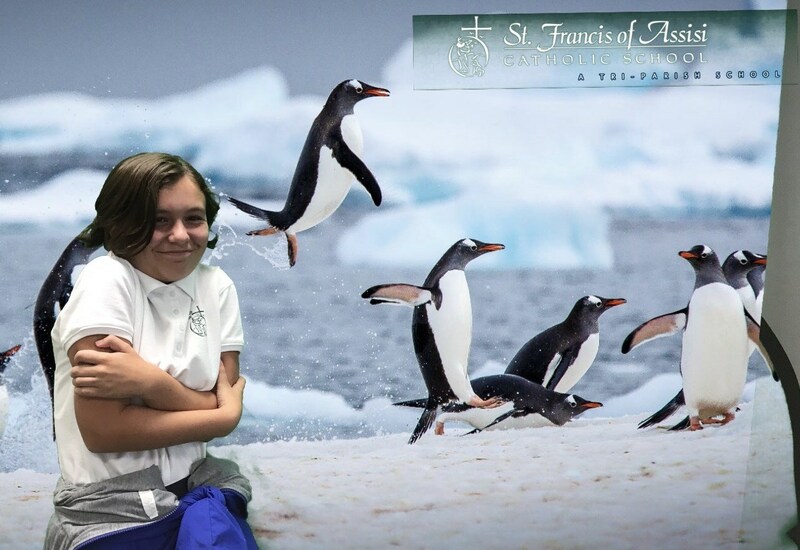 Given the importance of technology to higher learning and life skills, digital learning tools and instruction are an integral part of the 21st Century educational experience at St. Francis of Assisi Catholic School. 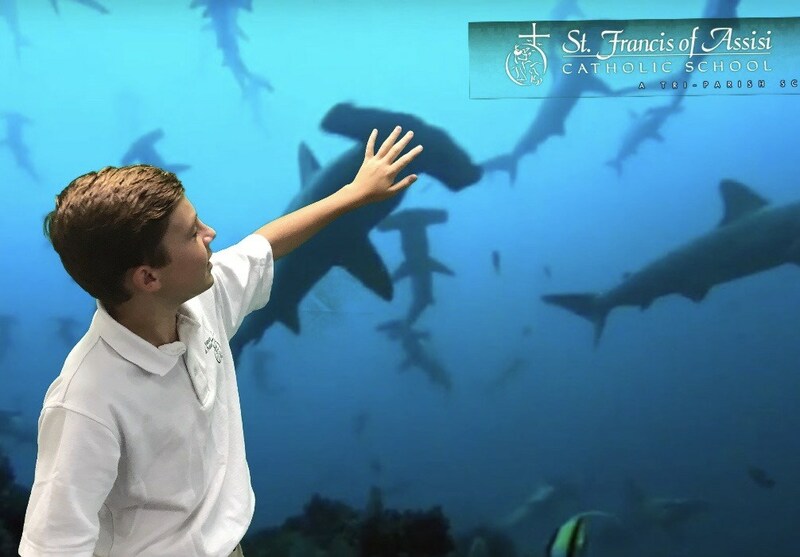 Our goal is to incorporate technology into all subject areas of the curriculum at a developmentally appropriate level, thereby deepening understanding and strengthening critical thinking skills across multiple platforms and subject areas. 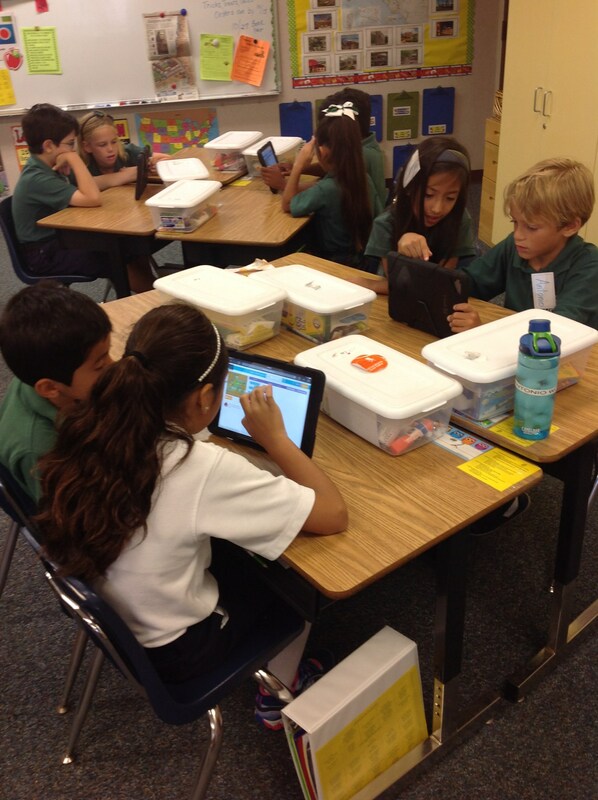 We believe that students naturally love using technology tools. They can be very motivational, easily personalized and allow students a degree of autonomy in their own learning processes. 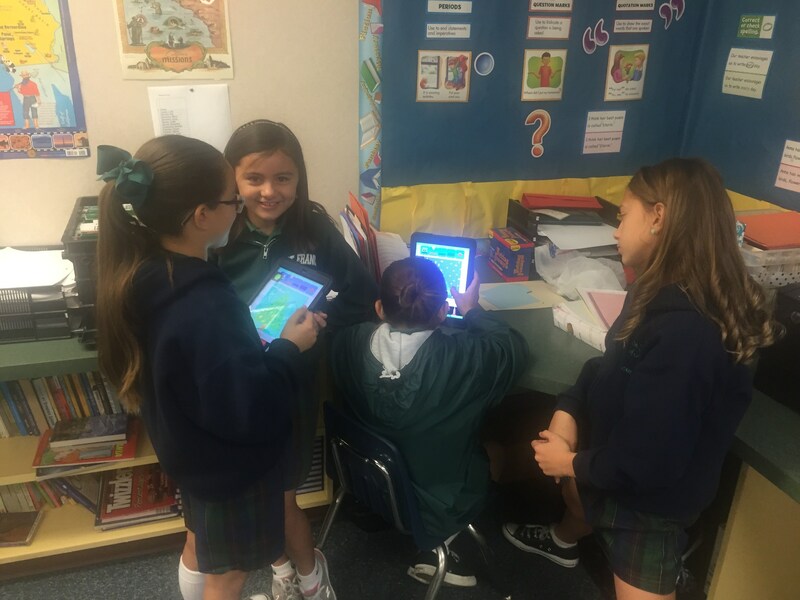 For this reason, our teachers are committed to ongoing professional development to ensure effective integration of technology into instruction. Be proficient in Microsoft Office Suite, Google Drive, iWork, and working on the cloud. Be able to utilize online research to effectively discern credible sources and cite them appropriately. Be confident in the utilization of multiple devices and platforms. Possess knowledge about Internet safety, proper email etiquette, and the ethical use of information. Determine which programs and applications would be best for a project based on specific goals. Utilize digital media to communicate, work collaboratively, and to creatively express their knowledge. Organize information in multiple presentation formats. 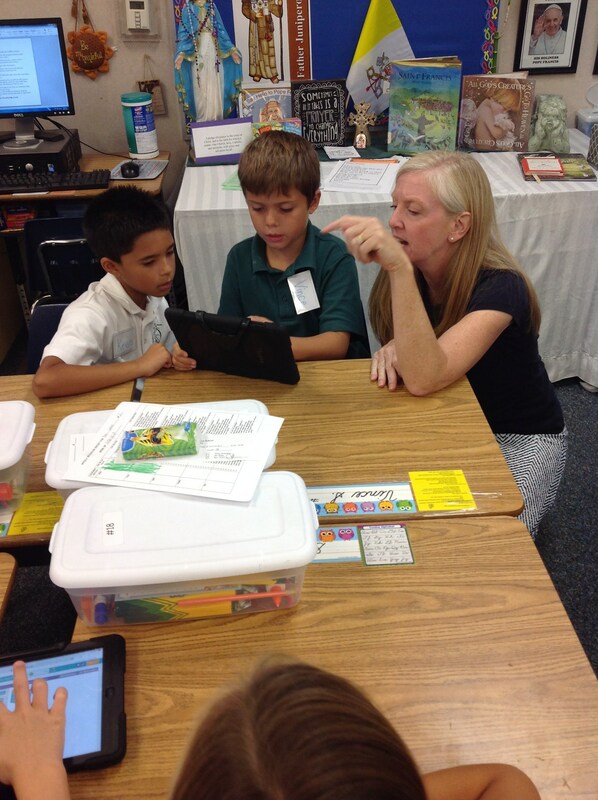 Technology integration occurs in all areas of learning on campus. 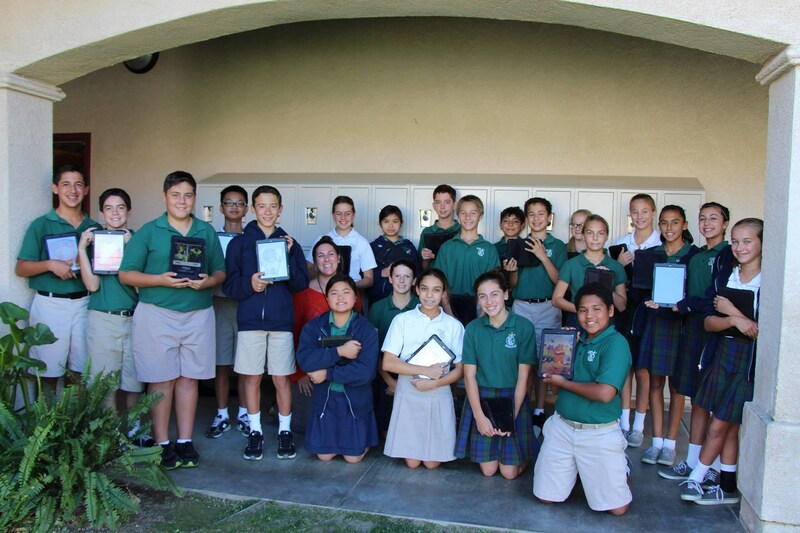 We currently offer a 1:1 iPad take home program in 5th, 6th, 7th and 8th grade. 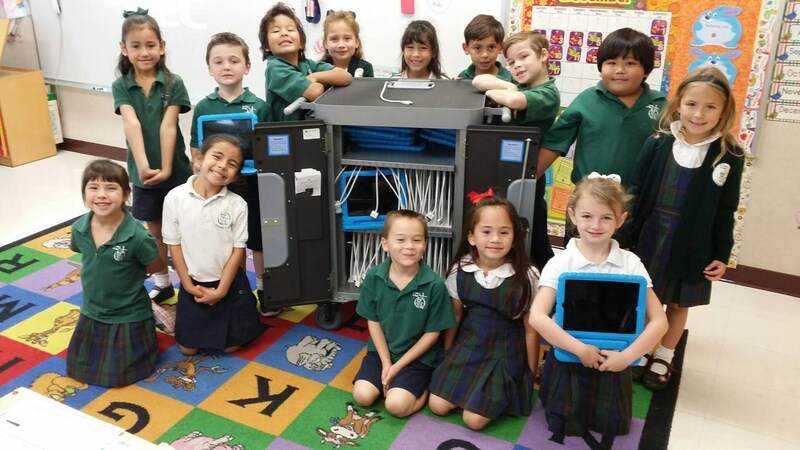 3rd and 4th grade each share a cart of 30 iPads, 1st and 2nd grade each have 10 iPads per classroom, and Pre-school, Pre-K share a cart of 15 iPads. 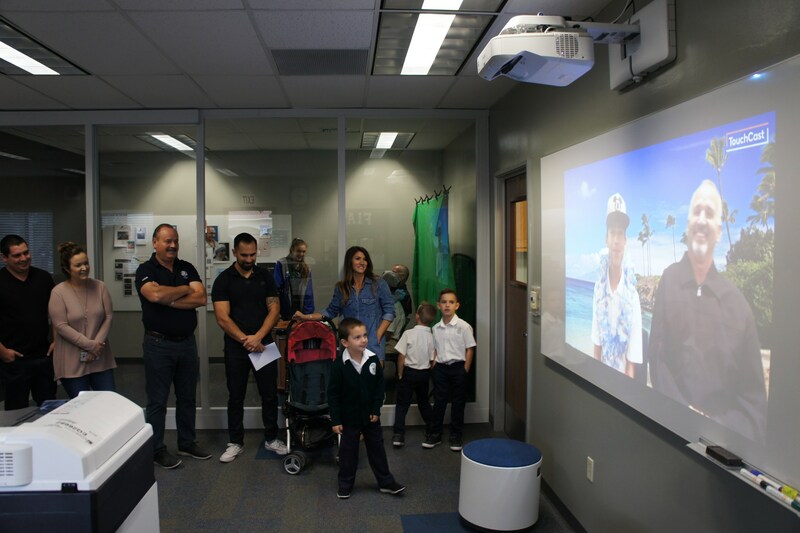 Thanks to the generosity of our families, the 2017 Auction Fund An Item raised monies to renovate the computer lab and library to a comprehensive Innovation Center. 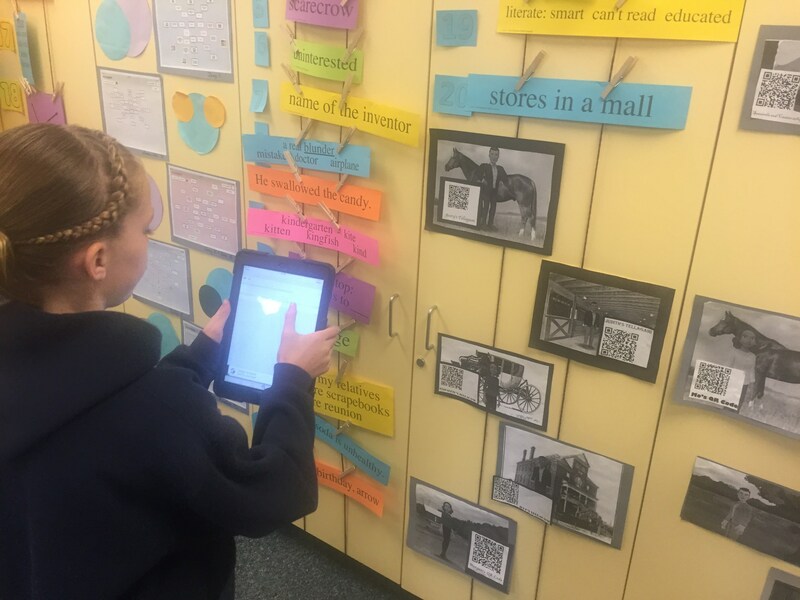 While the contents of a traditional library are still present for our younger students, middle school and junior high students can check out digital titles on their iPads. Students now have a flexible learning space which extends the walls of the classroom. They have access to a recording studio, tech support bar, and iMac lab, where Apple, Microsoft and Google applications are utilized. Students receive instruction through Common Sense Media resources. All iPads have Mosyle Device Manager, a mobile device management system, installed with Diocesan multi-level filtering and pre-approved applications. 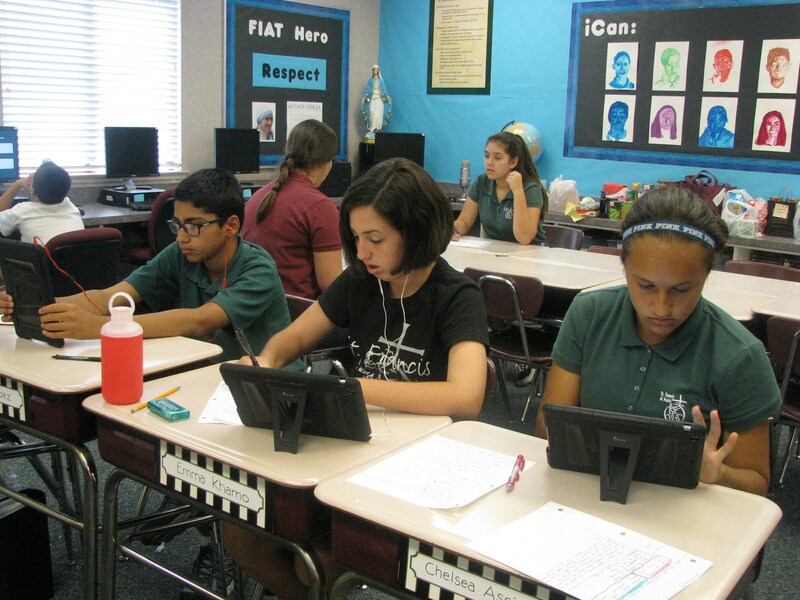 1:1 iPads are monitored 24/7 and students and parents sign an Acceptable Use Policy to ensure partnership and safety compliance.